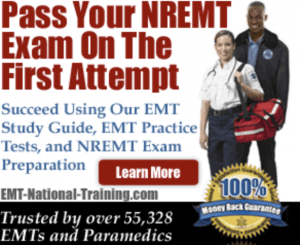 This article will provide you with a list of paramedic schools in the state of Florida where you can get admissions information, send applications, and graduate from in order to get a job as a working EMT Paramedic. If you’re interested in knowing about the job outlook for EMTs and paramedics, you’ll be extremely happy to know that the future is very bright. In fact, according to the U.S. Bureau of Labor Statistics (BLS), employment of EMTs and paramedics is expected to jump 23% from the year 2012 to 2022. This percentage jump is much faster than the average for other career fields, and it should give prospective EMS students such as yourself peace of mind knowing that they are entering a career field that is on the rise, rather than on the decline. As far as paramedic salary in Florida is concerned, the pay rate for EMTs and paramedics can vary quite a bit. This is mostly due to region, as someone working in Florida might make a little more money (or a little less) as a working medic compared to someone doing the exact same job (and same hours) as someone else located elsewhere in the country. Still, the median salary for EMTs and medics, according to the BLS, is $31,020. Do note, however, that paramedics make more per hour (and annually) than EMTs. Strong EMT and paramedic traits are essential to the job, as well. A lot of discussion goes into how much you can lift, or how educated or trained you are, but at the end of the day, patients (be it in Ft. Lauderdale, Altamonte Springs, Orlando, Miami, Gainesville, etc) want to feel like you understand their pain and concerns, and that you care about their well being. And if you work in EMS, you really and truly should care about people. Do You Have Compassion? – Do you care about your patients? Can you sympathize and even empathize with them? Are you a people person? Do You Have Strong Interpersonal Skills? – Just like any other job, you have to be able to work well with others. Can you work well with your fellow medics on the job? Can you take direction well? Can You Problem-Solve? – Problems are inevitable. Do you have a strong sense to decipher what a patient is saying if you don’t speak his or her language? If a decision must be made quickly, can you do it under pressure? Do You Listen Well? – It’s always important to honestly hear your patient’s concerns. That’s the number one way you can solve their problem or pain: by completely listening to, and then assessing, their problem. Do You Speak Well? 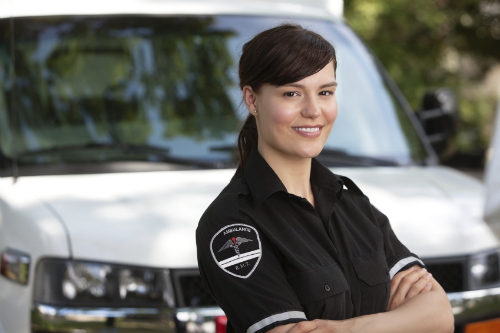 – Patients can quite be very concerned, confused, or scared by EMS professionals. Are you able to convey, through your speaking skills, the steps the patient is about to undergo to help ease their pain? Are You Physically Fit? – The job of an EMT or paramedic is quite hard. And there will be times when you need to lift a patient to safety, or simply move him or her on a stretcher or simply carry heavy equipment up and down stairwells. For more on paramedic training in Florida, please head back to our homepage and click on our interactive table.